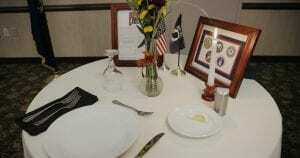 Empty table set in honor of our father, Staff Sgt Melvin Lewis Hatt was a beautiful tribute. Table flowers presented to me before bagpipes played Taps and Amazing Grace. Great take a way: able to personally ask Senator Gary Peters to bring forward a hearing before the Senate committee for Armed Services. Made the past few days of letter writing, research and documentation gathering worthwhile. Thank you Bob Cornell, amazing husband and David C Jones, videographer extraordinaire for being there with me tonight. I appreciate it and am blessed and oh, so proud of this endeavorHonored to have been a Military Officers Association of America dinner meeting tonight. Hand delivered letters and more evidence documents to Senator Gary Peters. Had a very productive conversation with him. I squeezed a lot in a short amount of time. Spoke with his local aide. 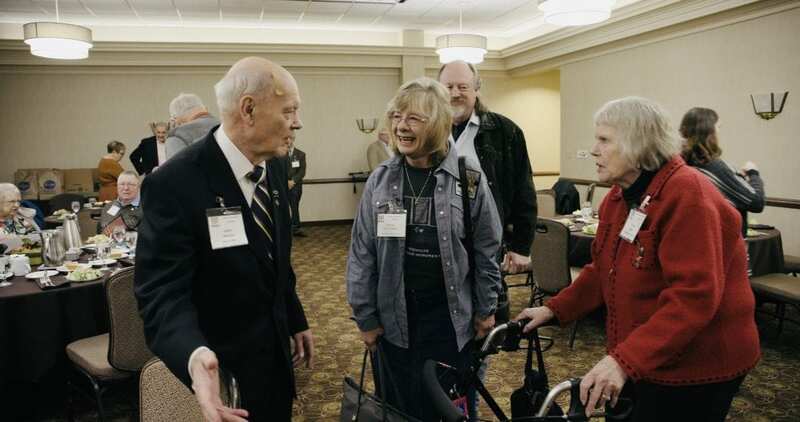 Met so many amazing retired service members, heard a few stories. Shared a table with 3 Generals and a JAG judge.